Space, the great unknown, the last frontier left for humanity to impossibly try to conquer or at least comprehend marginally more than we already do. The arts have always held a strong fascination with what lies beyond our insignificant planet and existence, science fiction is essentially part of our longing desire to know, or wish, for more than what we have here on earth. Kubrick’s masterpiece, 2001: A Space Odyssey, has the rare distinction of being a sci-fi film rooted in deep physiological analysis of humanity and space. Examining our humble beginnings as primitive ape like creatures up, the self-inflicted rise of automation and our existential crisis beyond this life, or planet, all addressed in the uncomfortable vacuum of space. While films have often used the in-between state of space as their backdrop but seldom is it ever utilised to its full potential, nor is it critically examined beyond being scenery out the window of Apollo 13 or the Millennium Falcon. Gravity has taken Kubrick’s lead, advancing his vision by implanting the never ending potential of space firmly in the viewer’s gaze. There is nowhere else to look, there is nothing else but space ahead, behind, left and right. 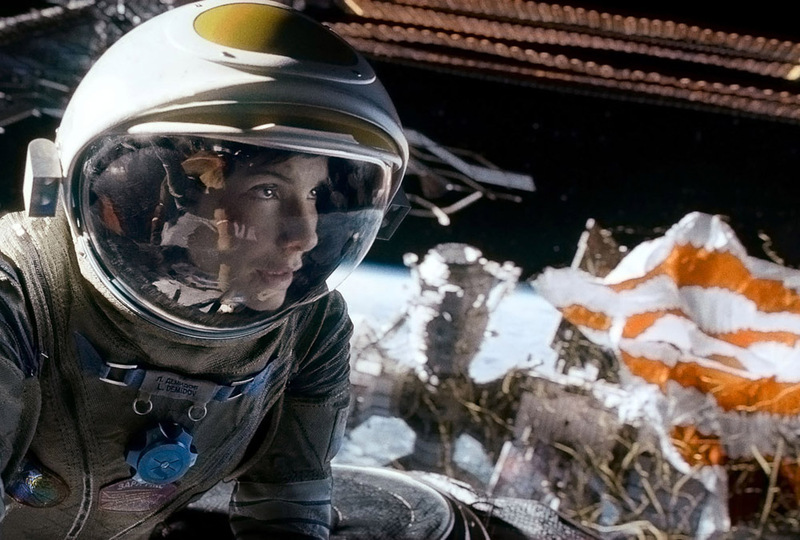 Alfonso Cuarón has gone into Gravity with intention of making the most visually striking film about space ever envisioned, or cinematic history, and undoubtedly he’s made a technical masterpiece of stunning quality. The simple narrative revolves around three astronauts revolving around earth on a routine mission for NASA, including veteran Matt Kowalski (George Clooney) and newbie Ryan Stone (Sandra Bullock), who run into a serious calamity when rouge shrapnel smashes through their vessel leaving them standard, disconnected from humanity and help below. Gravity is majestic filmmaking, on the neck cranking enormity of an IMAX screen it’s truly breath-taking in beauty, never has space travel felt so real. From a purely visual standpoint the film is stunning but Cuaron’s direction brings to reality the actual feeling of being in space. Ceaseless panning shots highlight the openness of space in all its tranquil beauty before literally turning the camera on its head with swirling, exhausting movements. Delving into the breathless first person view inside the confines of Bullock’s space suit is sheer uncontrollable panic but also the view of earth’s gleaming wonder in the glass reflection, the contrast a reminder of space’s splendour and danger in equal measure. Aptly Stone says early on space is “like being a Chihuahua in a tumble dryer”, nauseatingly true for the viewer too. The roller-coaster camera ride is aided by a strangely unnerving soundtrack, perfect for the setting. When the Steven Price score drops out the impressive sound effects fade in, almost unnoticeable at first the muffled, base heavy silence of space manages to be impossibly identifiable in a place where nothing can be heard. Additionally muted dialogue brings the viewer into the space suits, unable to quite here properly through the intercoms, juxtaposed to the relieving normality of noises once the suits are removed. Each scene is almost technically incontestable, Cuaron is complete control of his vision, focusing on macro and micro levels of entrapment at will. The 3-D is underplayed correctly, rare are instances of cheap thrills with debris coming right at you, by using the obvious visual effects sparingly he allows for maximum impact as rocks thunder into space stations ripping everything apart with consummate ease. The odd dodgy moments crop up occasionally with the backdrop of earth looking ever so slightly like it’s been lifted from an old documentary, elsewhere vessels look oddly blurry from a distance, at worst they look worryingly similar to Thunderbirds’ toy planes. This is only minor knit picking in a graphical delight, where the real problems lie is in its narrative. The dialogue is downright appalling- corny, contrived, naff and cringe-worthy all at once. Moments where Bullock is left alone leave much to be desired, the more she speaks the more uncomfortable it gets leaving the viewer willing to be thrown into the vacuum of space just make it stop. Clooney is left second best to Bullock which is a shame as he makes a marginally better go of the script, elevating it to something slightly more than a seemingly eight minute hatchet job. Bullock’s character, Stone, confides to Clooney about the loss of her daughter at a young age, this innocuous piece of information forms the backbone of the underlying theme, one of rebirth and resurrection that is dealt with nether subtly nor credibility. Nods to these notions of blatant and senseless, it’s reminiscent of the appalling Book of Eli and its woeful attempt at religious undertones that end up being overblown overtones by the end. 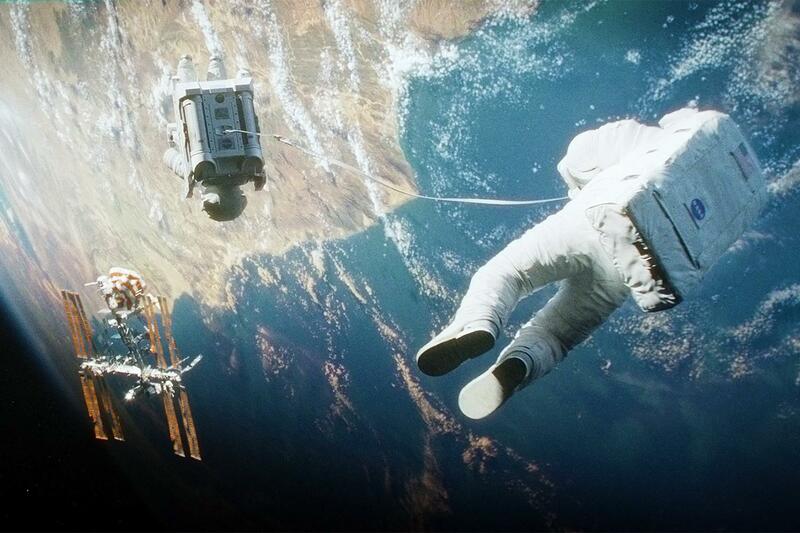 Gravity’s story is weak, unpolished and predictable in the end. The masterful work to make space seem so impressively real is undone by a ludicrous tale of pitiable imagery; style over narrative substance is inexcusably even at this level. The film’s opening 25 minutes make you feel weightless, engrossed in your time hovering above earth through the cinematography, but the sensation quickly subsides as you come crashing down to earth with the dreadful story and script. Without the amazing production and the enormity of IMAX Gravity would be a frankly terrible film, the plot and acting, Bullock’s screams can be heard in space, are some of the worst around, simply papering over with a ground-breaking backdrops is not enough to rescue it’s mediocrity. Had Stanley Kubrick been afforded the budget, backing and mechanical innovations of today he would have made something truly special out of Gravity. Cuaron’s film may be better looking but 2001 will leave far longer in the memory than Gravity’s weak conservative narrative. 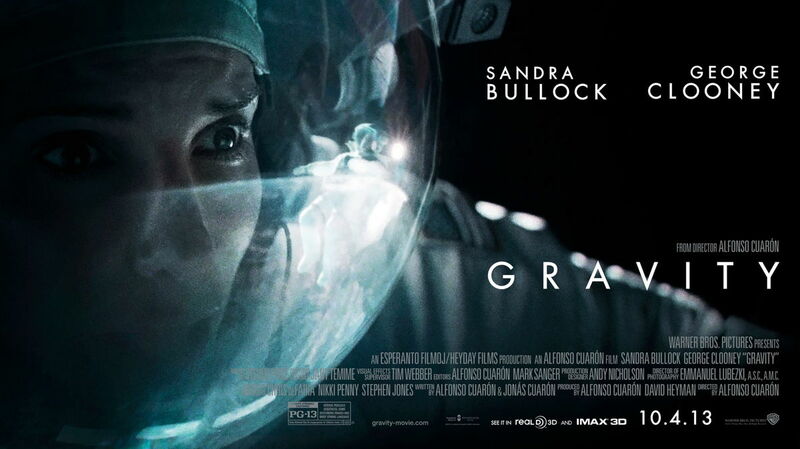 6.5/10- Space is best without Sandra Bullock.